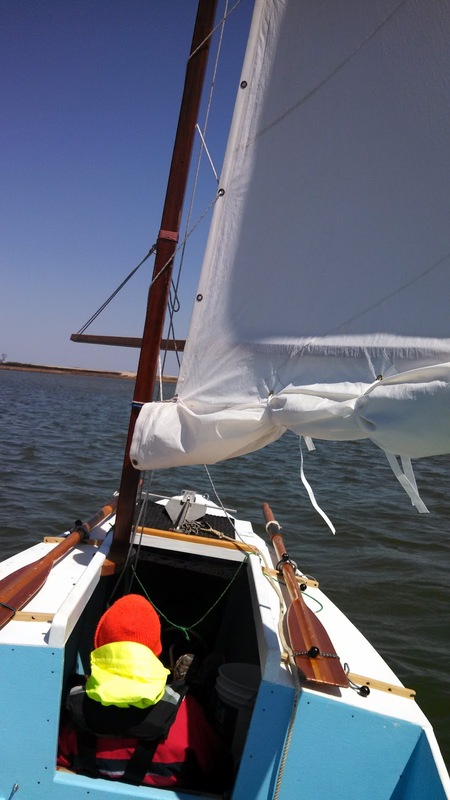 After our spring cruise in the Core Sound last year, I decided to sew a third reef into our sail. 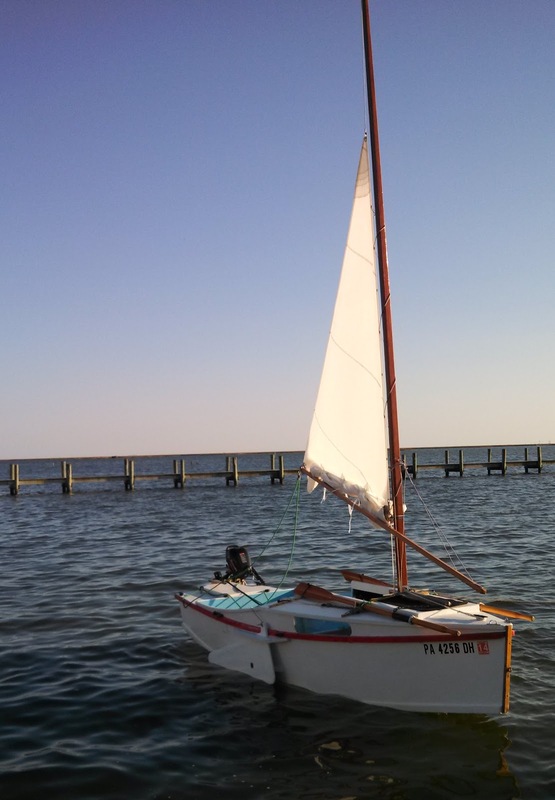 I finished the improvements in the fall but didn't get to test it out until our 2013 spring cruise last week at Smith Island in the Chesapeake bay. I had been unsure whether the third reef would be worth the effort and now I have answers to my questions. The third reef was awesome! It was sunny, cold and windy, with northerly winds from 15 kt to 25 kt, sometimes gusting to 30 kt and daytime temperatures in the 40's. We were able to comfortably sail upwind with no gymnastics on the windward rail. The new mainsheet also worked out well and while my hands are a bit raw from working in the cold, the cam cleats and heavy nap of the rope were a joy to use. We met a few watermen while staying on Smith Island (more about that later) who were surprised to hear that we were going out in such weather. A: It was just right. We were able to tack upwind during the worst of the gusts. The forecast during the first test of the third reef was 15kt to 20 kt gusting to 25. Our average hull speed was 3 mph with bursts to 3.5. Creamcheese's best upwind speed is a little over 4 mph. I estimate she pointed about 50 to 55 degrees off the wind. Her best upwind performance is 45 degrees, but she is always faster at 50 degrees. A: Happily, there was no upwind lee helm but instead the perfect amount of weather helm - about the same as with the full mainsail. 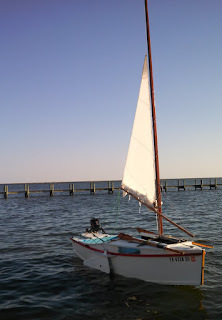 I don't understand how moving the centroid of the sail 19" forward can have no effect but I listed my hopeful explanations in my original post about sail math. Another possibility is that even though the sail centroid moves forward, the center of effort is very close to the mainmast and so doesn't move very far. And because the sail lacing gets slack (see picture), the luff of the sail is actually about four inches from the mainmast, thus moving the center of effort four inches aft.